Many people are used to seeing pink or yellow ribbons supporting a worthy cause, but late last fall, LJB staff was seeing purple. 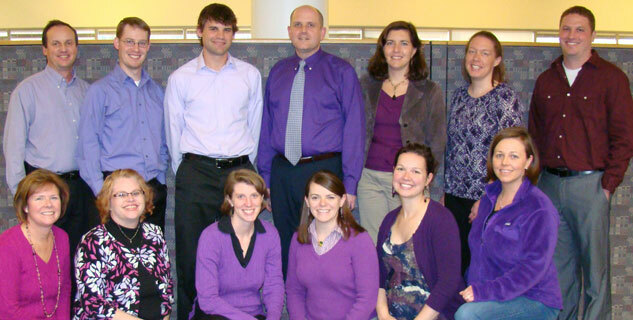 More than a dozen LJB staff members wore purple for World Prematurity Awareness Day to raise awareness about prematurity in the United States. Currently, one in eight babies is born premature. Wearing purple to support World Prematurity Awareness Day (November 17) is one of many ways LJB shows its commitment to serving our community. In addition to this physical expression of support, LJB provides the opportunity for staff to contribute to the March of Dimes mission through an annual payroll deduction program. This is our fifth year of payroll deductions and our employees have generously pledged more than $2,000. March of Dimes donations are used to fund research, train neo-natal ICU nurses, provide family support services and buy essential NICU equipment to help these babies survive. Jeff Griffin is currently the board chair of the Miami Valley division of March of Dimes, one of five divisions in the state of Ohio. « Airbags for fall protection?